Secretary of State grants planning permission for 425 new homes at Vyne Park, Basingstoke for Croudace Strategic. 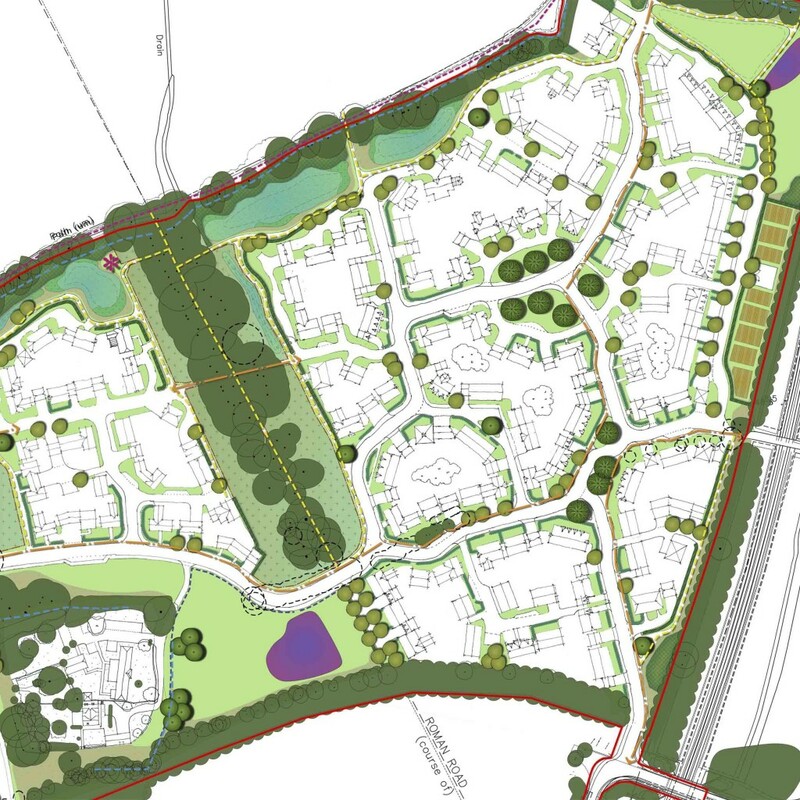 CSA’s landscape and urban design team have worked closely with Croudace Strategic to secure consent for 425 new homes, public open space, landscaping and associated infrastructure on this greenfield site on the edge of Basingstoke. CSA’s masterplan and landscape strategy showed how the combined constraints of ancient woodland, a SNCI, several listed buildings and a former Roman Road could be successfully addressed and used in a positive way to create the framework for a high quality development. The decision was referred to the Secretary of State after Basingstoke and Deane Borough Council failed to determine the application within the allocated time. In granting consent, the Secretary of State agreed with his Inspector that a full Award of Costs would be provided to Croudace.